Last year was interesting. When my family and I lived in an apartment complex with a pool, we spent a lot of time in the water during the late spring and summer. 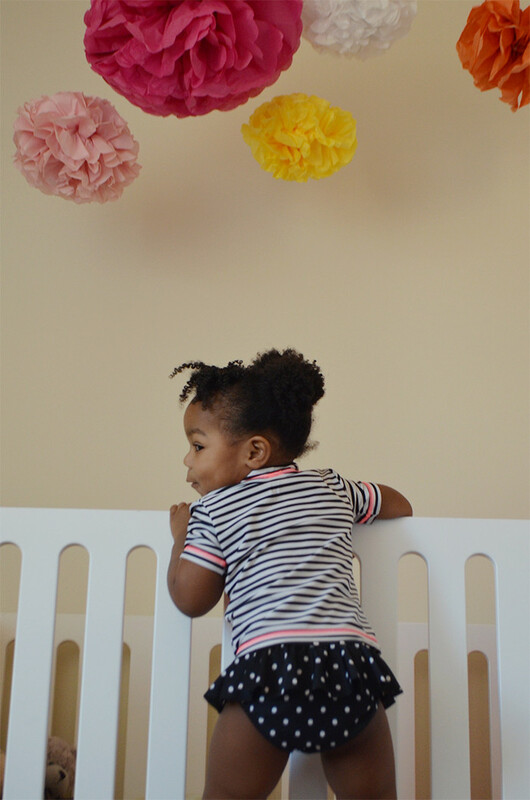 All of us love to swim, and even infant Juliza loved bouncing and kicking as she floated. But when we moved into our current home in a community without a pool, we spent significantly less time in or around the water. As in we didn’t go to a pool a single time during the whole year. This year? We plan to rectify that. 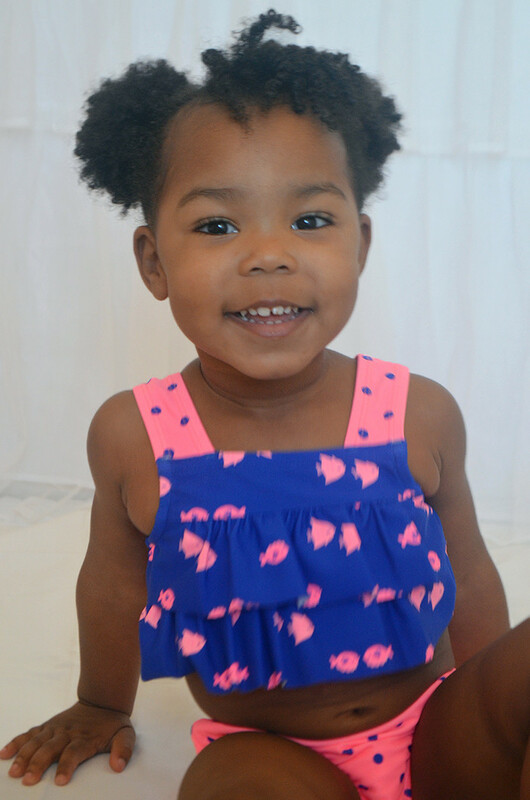 So when Walmart asked me to try a couple of swimsuits for Juliza from their Child of Mine by Carter’s line, I thought it would be a great way to get her ready for the water. 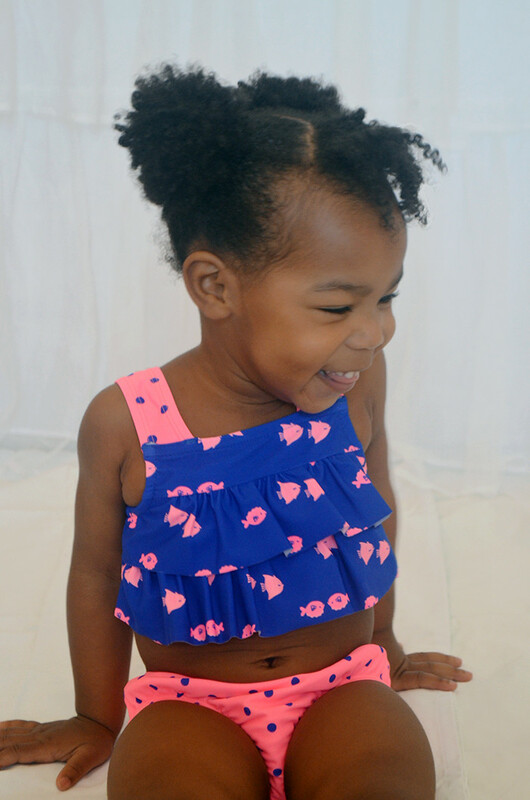 We received two swimsuits: A cute ruffled two-piece, and a second two-piece with a rashguard top. The ruffled swimsuit is my favorite, and Juliza was only too happy to twirl in it. 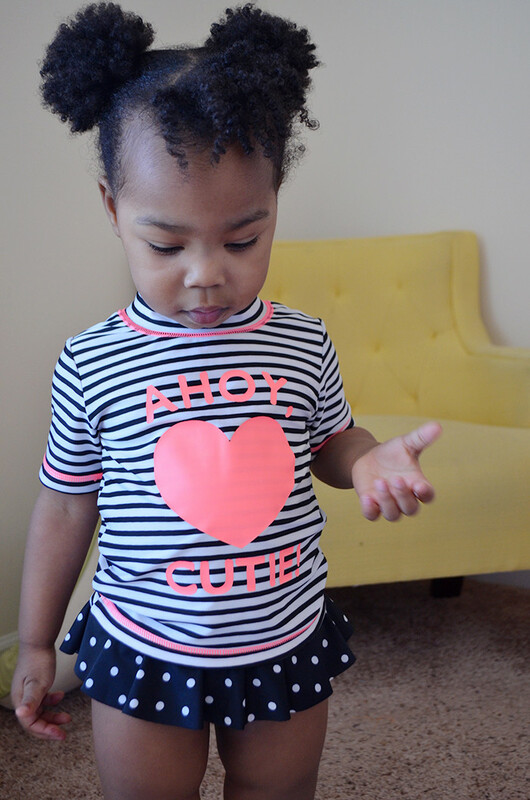 The fit was a bit too big, since it was a 3T and she’s currently wearing 2T, but it will likely fit better by summer. Still, the fish and polka dot print and the bright colors make for an unbelievable cute swimsuit. And the best part? It’s priced at just $9.97. I have a feeling this one is going to be a summer favorite. The second suit features bold black and white stripes on the rashguard top. Though this suit is also a 3T and the top was a bit loose, the bottom fit a lot better. 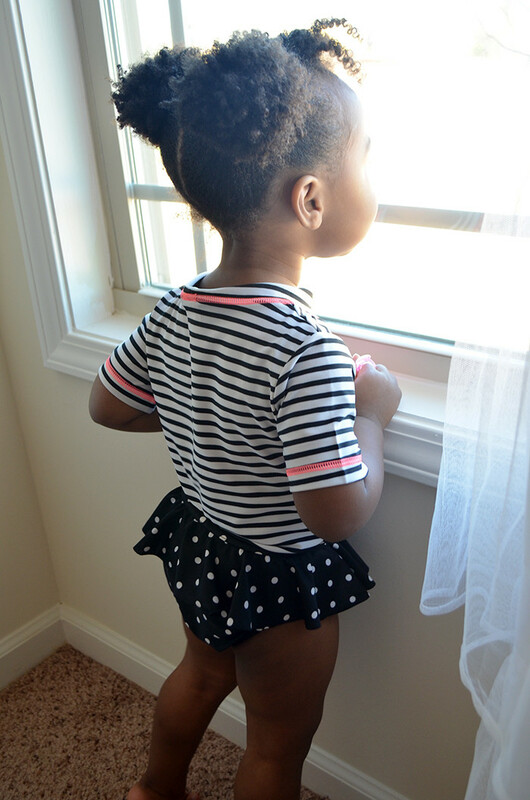 And I cannot tell you how much I love the mix of black and white stripes and polka dots. So much fun! I’m willing to bet my husband is going to prefer this suit between the two. The rashguard option is priced at $12.97, and it’s available in three other colors. I think it’s safe to say Juliza is ready to swim this year. Now, I just have to invest in some swimming lessons for her.